The Other Revenge of the Sith. After watching the episode 3 in the movie theatre, I spent about an hour afterwards ranting with some friends, in front of the theatre. With an audience. 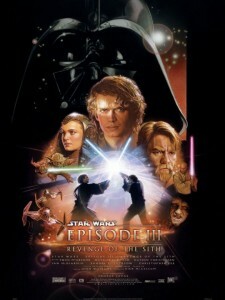 Since I really loved the original Star Wars trilogy, I needed to release my disappointment somewhere. So, I channelled it into a spoof script of the movie. The Other Revenge of the Sith was the result.